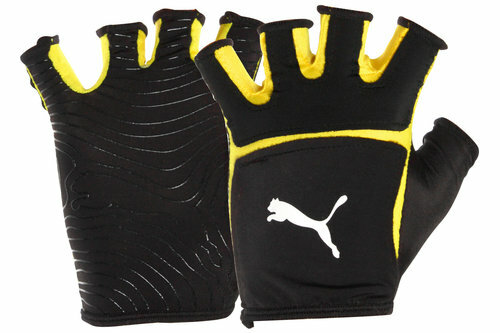 Improve your handling and get to grips with the ball in these Puma V-Konstrukt Rugby Grip Mitts. Made from nylon for a lightweight feel, this allows them to stretch over your hands and creates a snug fit. A rubber pattern covers the palm so you can deal with any pass directed at you. A black and yellow design to the rugby mitts ensures a vibrant look and allows team-mates to see where your hands are positioned.